Beauty treatments in the heart of the city. Beauty with passion. Laser hair removal, permanent makeup, facials, body contouring, tanning and more. Body Treatments Enjoy your body treatment with Primas Beauty Clinic's professional body contouring specialists. Eyebrows & Eyelashes Perfectly shaped eyebrows and our tints will ensure your eyes are always looking their best. Facials Whether you are seeking to turn back the clock with our anti-ageing therapies or a hydrating treatment, we can assist you with virtually any skin issue or need. Laser Hair Removal - 6 Sessions Perfect for long term hair removal. Laser Hair Removal - Single Session Perfect for long term hair removal. Semi Permanent Make Up Semi permanent makeup is cutting edge aesthetic treatment known as permanent make-up, cosmetic tattooing or micropigmentation. Massages We offer full body or massages that target specific areas. Gel Nails & Extensions If you prefer a more natural look but struggle to keep your nails long without breaking or chipping, Shellac or Gel nails are a very popular choice. Manicures & Pedicures Our manicure and pedicure range. Sunbeds Customers will maintained a comfortable body temperature thanks to a pleasant flow of refreshingly cool air. Waxing Our Aestheticians are highly trained in every aspect of waxing services. 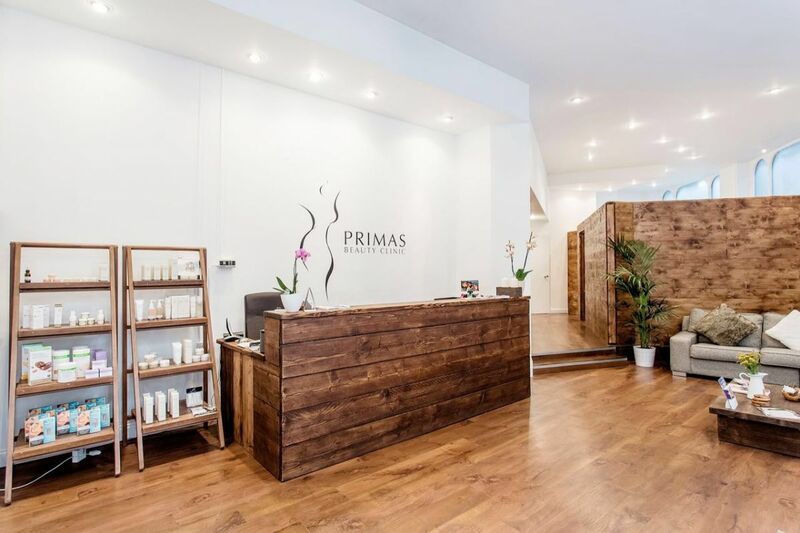 At Primas Beauty Clinic our focus will be on tending to your needs and helping you to achieve your goals. We pride ourselves on the caring approach we intend to take with our customers, which will in turn increase and enhance a greater sense of wellbeing. At Primas Beauty Clinic our focus will be on tending to your needs and helping you to achieve your goals. We pride ourselves on the caring approach we intend to take with our customers, which will increase and enhance a greater sense of wellbeing and value. Very disappointing quality of nails painting.